The Tendernob and Little Saigon are two rapidly changing neighborhoods that have a very delightful assortment of eateries which create one of the most dynamic and surprisingly wonderful food tour itineraries to be found. Join us on a trek through these unexpected and compelling neighborhoods on a food tour of epic variety as you discover new foods and flavors you'll never want to forget. 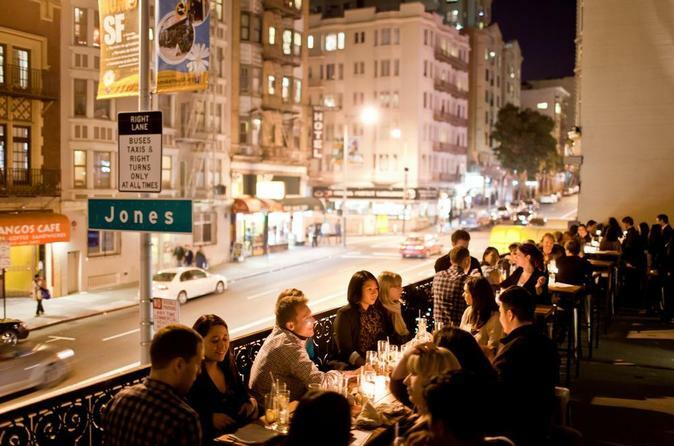 Once just a transitional area between Nob Hill and the Tenderloin, the action from nearby Union Square has overflowed to the Tenderloin, creating a quirky new neighborhood with its own unique vibe. Cool fashion boutiques, restaurants and shops have invaded the area and been eagerly embraced by the young artists and professionals that live there. The area intersects with the "Little Saigon" neighborhood, creating an enticing blend of trendy new eateries, specialty shops and the traditional flavors of Southeast Asia, from India to Thailand and Vietnam.In addition to sampling the tastiest food in the neighborhood, you will also go shopping at local and international markets and pay a visit to the Heart of the City Farmers Market (if open), for the freshest local farm products available.